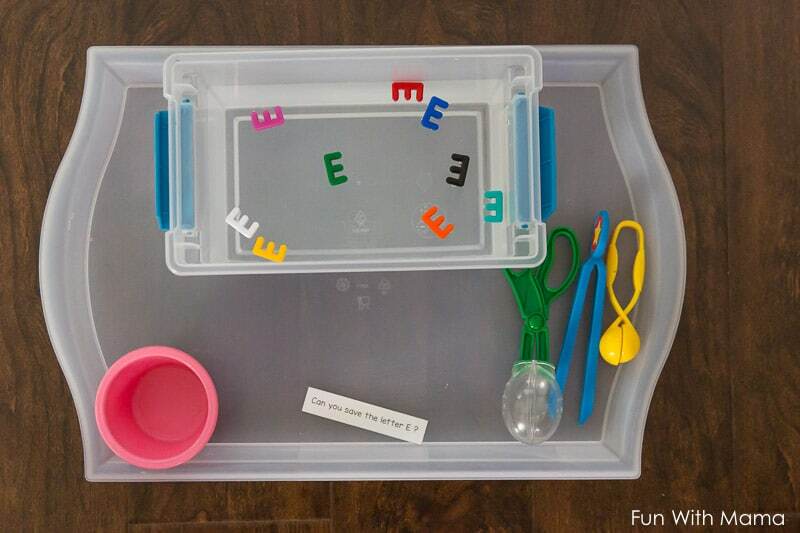 Have you heard of my latest craze, Play Trays aka Preschool Activity Trays? Oh my, how you are going to love these… All you have to do is spend 20 minutes one day a week setting these up for the week ahead and now I’ve just showed you how to get 20 minutes of YOU time… or at least, 20 minutes to prep dinner or breakfast. I’ve written about my love for tot trays before, Back then, I had a dedicated shelf space to put these trays on. I would set them up on a Sunday and leave them out for my child all week. The next week I’d change the trays up using toys and materials I had at home. Now that I don’t have that shelving anymore, I just keep the trays in a cabinet and take them out as I need them. I probably use two trays a day for my 4 year old (almost 5 year old) daughter. Why set up toys on a tray? 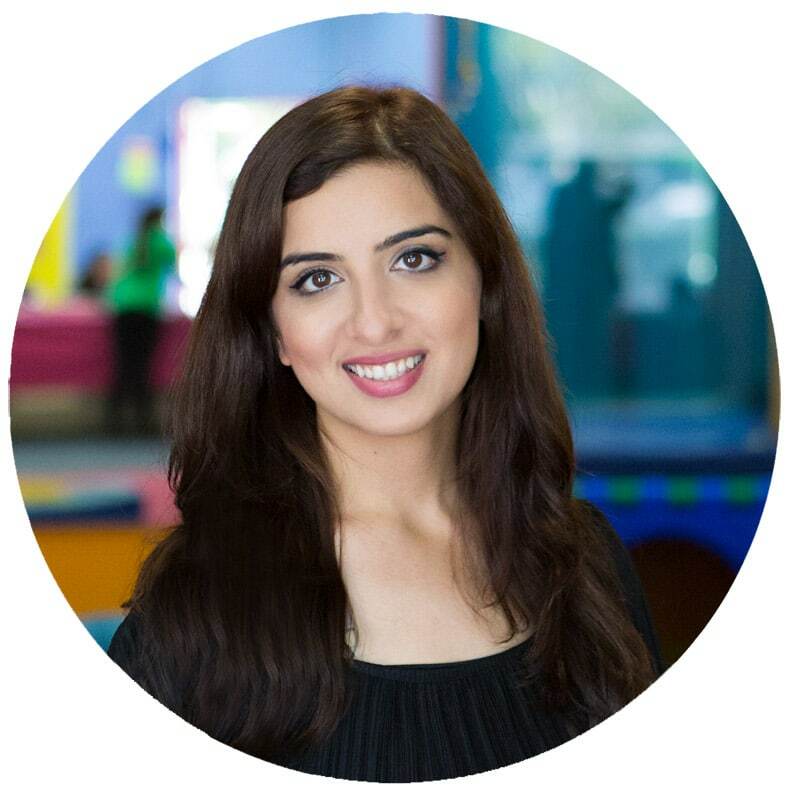 Because I like to rotate my toys.. we have too many toys and this means that my child doesn’t play with any of them if they are all out. 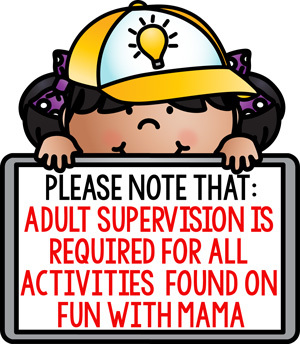 By removing the toys from the playroom and having it come back out once every month, the toys have that novelty feeling and children play with it more. 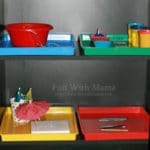 My trays are Montessori activities inspired. For example, pouring, scooping, transferring, etc. They are easy to set up and I’d suggest you use items you have at home. My only requirement is, that you need a tray! 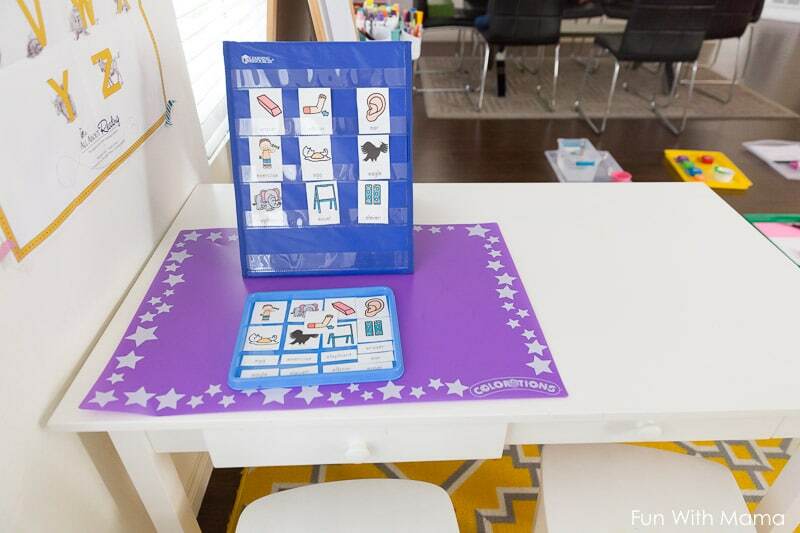 My favorite trays come from Ikea and Lakeshore Learning. If you prefer ordering from Amazon then these trays are similar and the Ikea trays can be found here too. 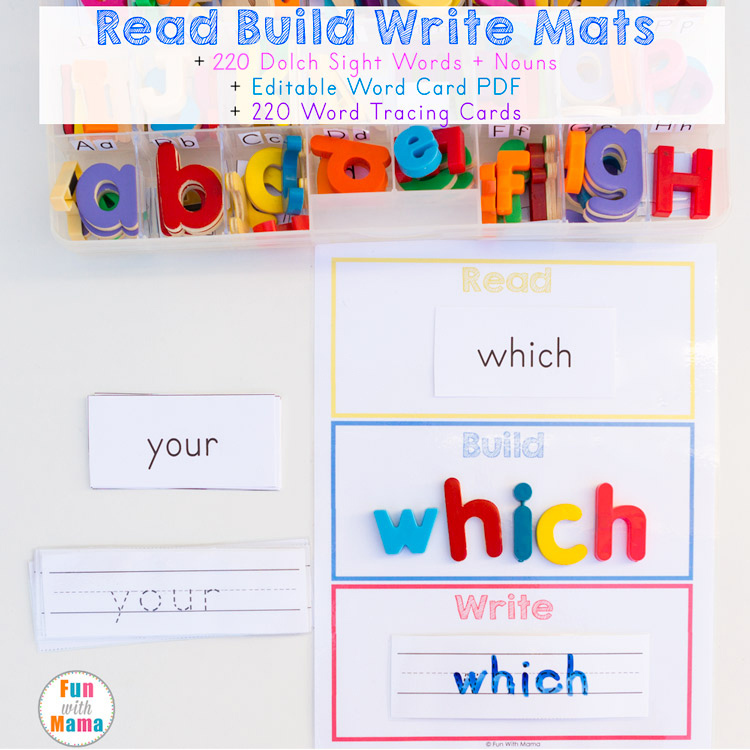 We do a lot of hands on alphabet activities for kids at home. 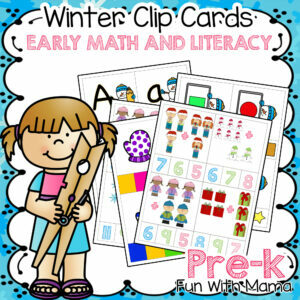 Preschoolers love learning alphabets! 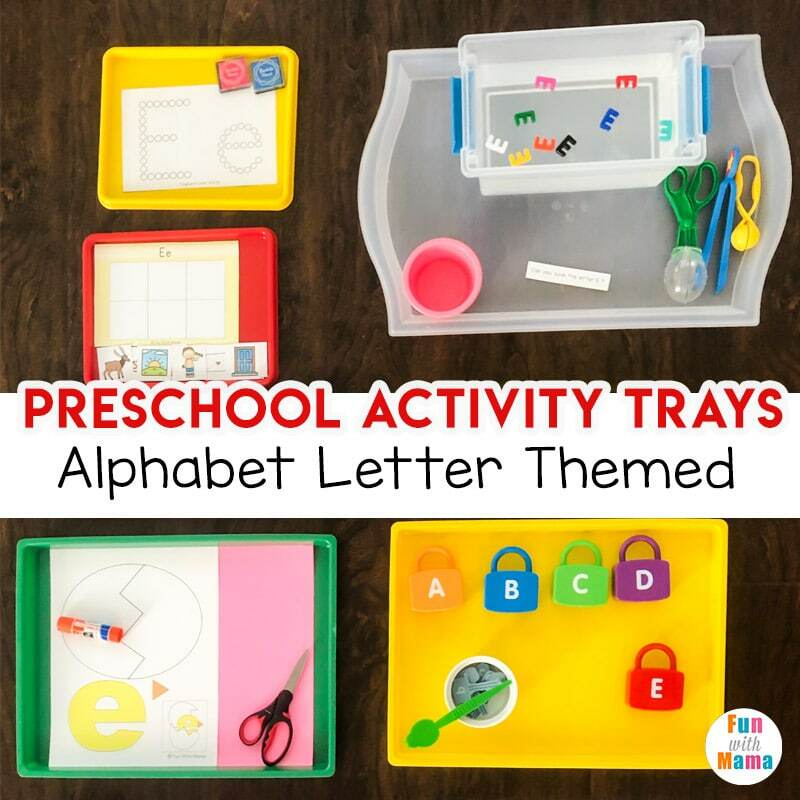 Our ABC activities packs are fun activities to add into trays. Want to join in on the play trays fun? Join our Play Trays Facebook Group and whenever you share a play tray on Instagram use #playtraysfwm to share with our community. I will be posting more about our weekly Play Trays on the Fun With Mama Instagram Stories and profile. 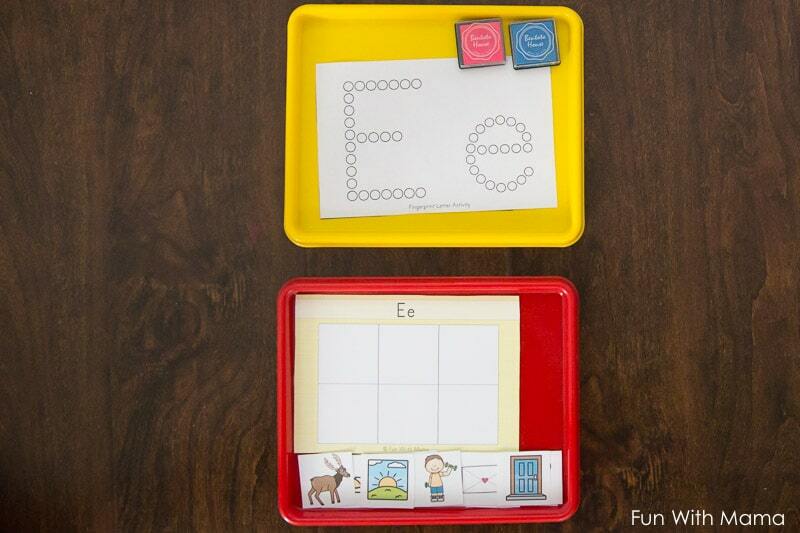 Play Tray #1: Can you save the letter E? I just threw in some letter E lacing letters to a container filled with water (I love these containers for organization too.). 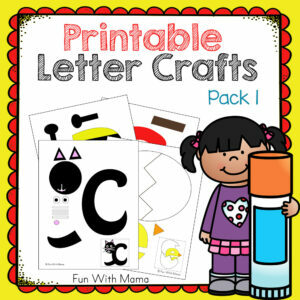 I added some fine motor tools to make it more fun, and a cup for the saved letters to go in. 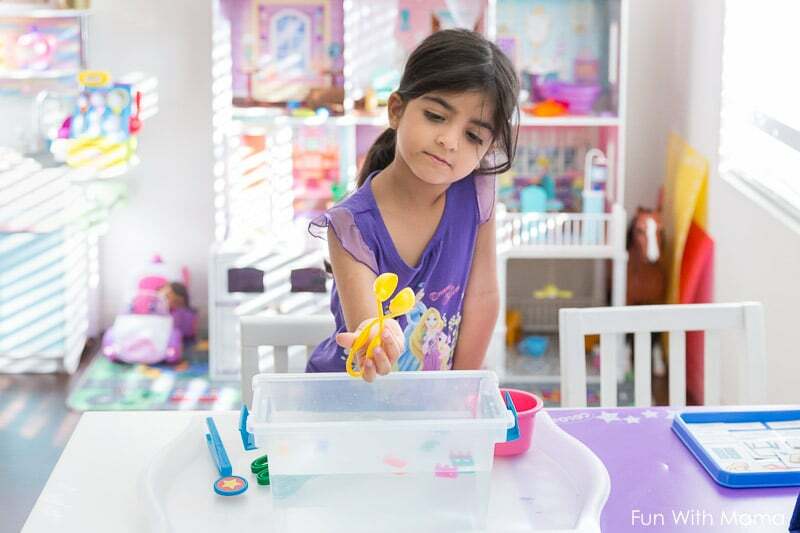 This activity is similar to my alphabet letter fishing activity too. 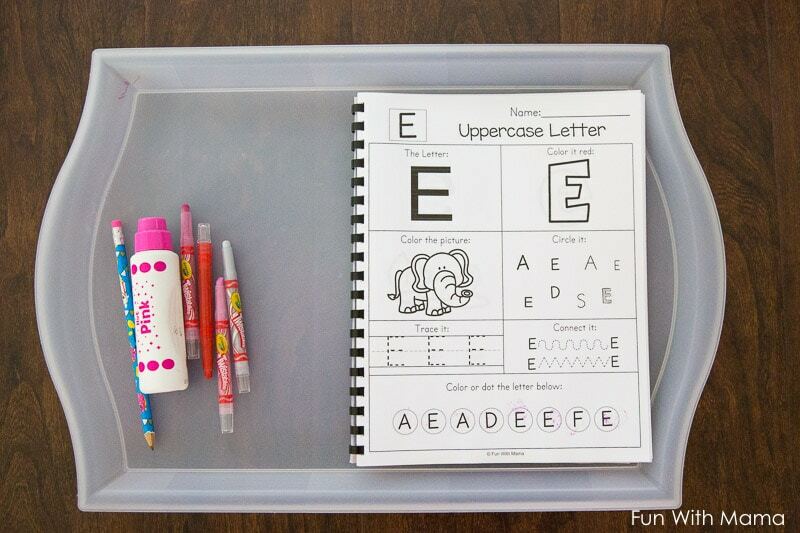 Tray #2: I printed out the fingerprint stamp letter page from the letter E worksheets and activities pack. I then added some stamps. I normally use these stamps but since I was using a smaller tray (I ran out of big ones) I used random stamps I had at home from my fingerprint art activity. The alphabet Q-Tip art activity is another one I will interchange it with. 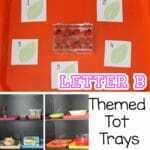 Tray #3: This is my alphabet letter sounds mats printable. I love these because once a child is familiar with identifying letters, we want them to be able to hear its sounds. I normally laminate and use velcro dots as you can see in the other blog post but I was running short on time. 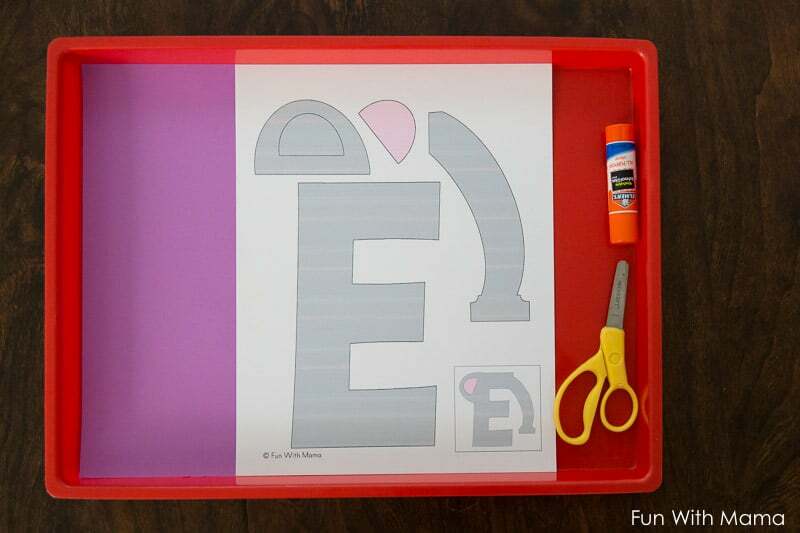 Tray #4: Letter E Craft Printable. I will have my daughter cut the letter E out with the scissors and glue it according to the guide. I will then add it to our alphabet letter book. 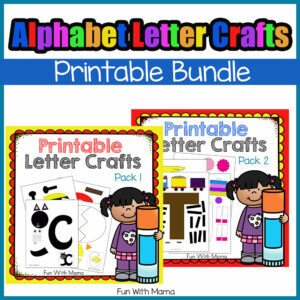 You can try out some of the printable letter crafts or check out the full printable alphabet letter crafts bundle here. 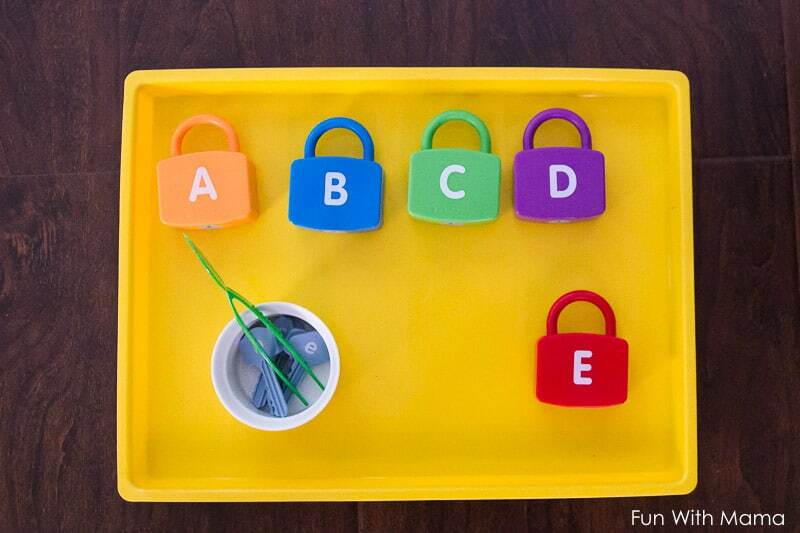 Tray #5 – We had these alphabet letter locks at home and it is definitely a favorite of my daughters. I always start with placing a few of the learning locks out for her including the letters she knows. Currently at 4 years old she can identify most of her alphabet letters so now I can just dump out the whole set of locks and have her figure out which one she wants to use. I included some tong/tweezers to add a fine motor aspect to the activity. 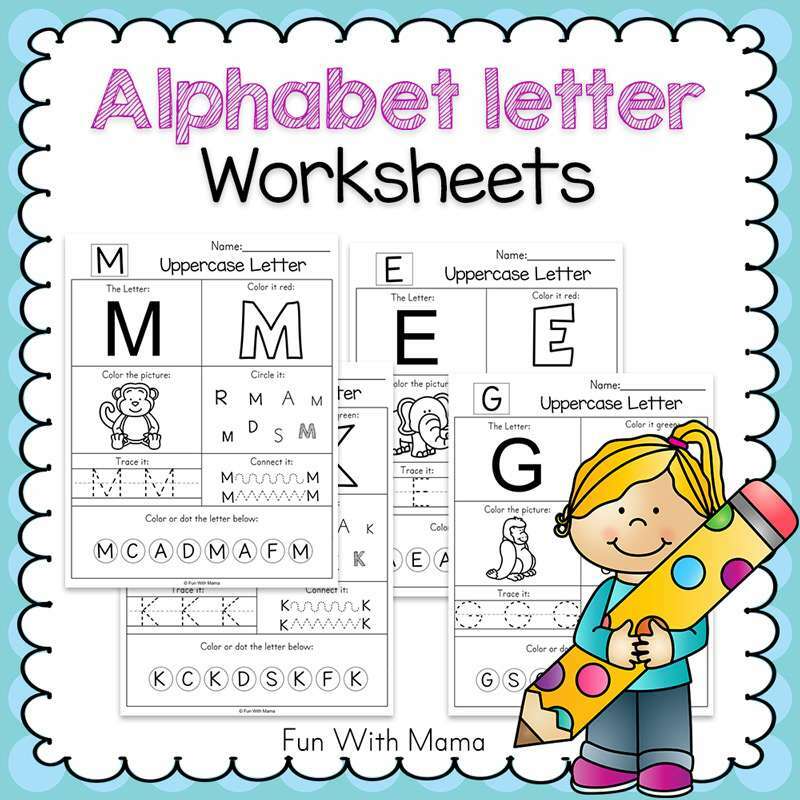 Tray #6: My daughter LOVES the alphabet letter worksheets. I place everything she needs to complete the activity on her tray and she is good to go. 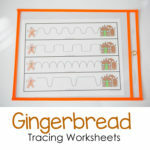 I’ve done a blog post for how to turn worksheets into a workbook and there’s even a video in that post. 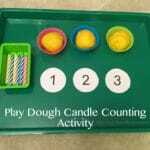 While this activity is not completely on a tray, I did incorporate part of it on one. These are the 3 part cards from the letter e pack I mentioned above. My daughter will need to match the image and word to the picture above it. 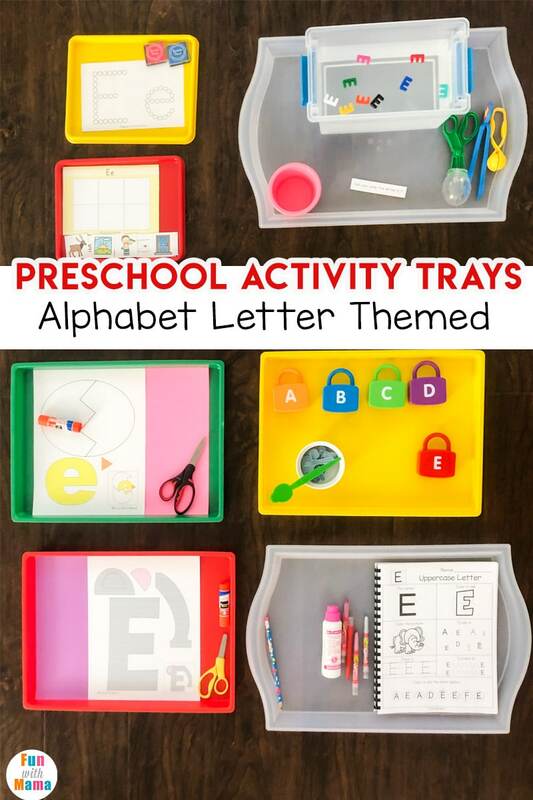 Have you ever tried preschool activity trays or tot trays? Did your child like them? « Unleashing Creativity With Bunchems!